There’s a new release on Smashwords, although it was previously released on Amazon, but it marks its debut into other formats besides that of Kindle. It’s 56+ Marvelous Homemade Mixes. I’m every bit as excited as I was when it was first released, and just as nervous. This is a new format, and although I had help reformatting the content for Smashwords, it’s always nerve wracking as I wonder if something was overlooked in ensuring that it was in an easy-to-read format without errors. To celebrate its new release, I’m offering a 50% off coupon to all of the blog readers. That translates to $1.99 off, making the book cost just $2. So how do you get your discount for being a loyal reader? That’s it. Nothing to download. No list to sign up for, no page on Facebook to like, and you don’t even have to follow me on Twitter! You can find the book right here on Smashwords. 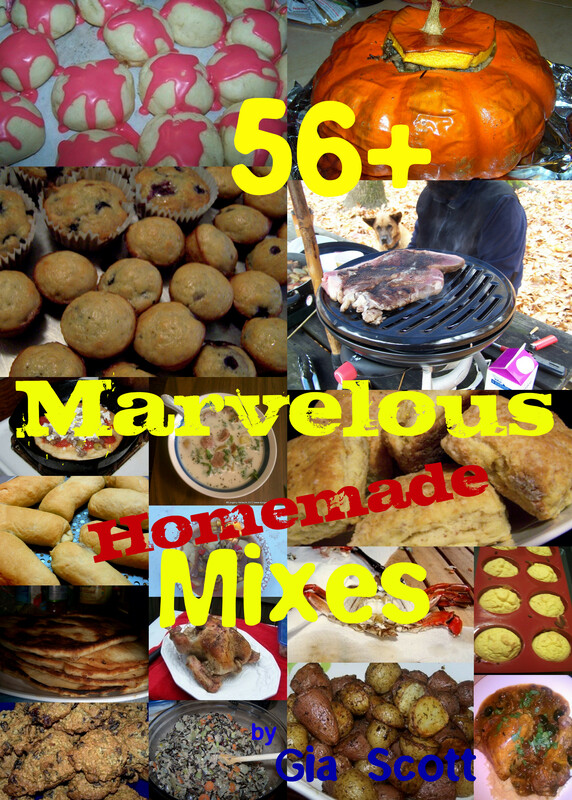 56+ Marvelous Homemade Mixes presents 56 different mixes, plus variations on many mixes,that can be made at home. Take control of your family’s foods while keeping all of the convenience and speedy preparation we all love in our home kitchens by simply mixing these mixes in the comfort of your own kitchen. Whether you are the pioneering sort that loves doing it all yourself or the budget minded mother, there are recipes here to speed food preparation, as well as save your hard earned money. Homemade mixes are good for the environment too, as far less packaging is used when you do it yourself. Making the mixes yourself means you have the option of using locally produced ingredients as well as homegrown ones. Nothing is more appreciated as a gift than a homemade food gift too, and any of these mixes can be packaged into a thoughtful and tasty gift, ideal for hostess and holiday gifts. This entry was posted in Cookbooks, Easy, Mixes, Quick, Recipes and tagged 56+ Marvelous Homemade Mixes, budget, cookbook, coupon, discount, easy, gia scott, quick, recipes, Smashwords. Bookmark the permalink.